It is a service that will take care of your worn out furniture covers whenever you need for them to be changed. This kind of recovery is best for pieces that are still great in form, but need to be brought back to their former glory. You can choose fabrics that appeal to you every once in a while. It is a simple way to transform your home. You can have your sofa, chair, lounge and even bed heads restored to look beautiful and appealing and to comfort levels that you will definitely enjoy. In order to sustain the exquisiteness of home interiors and antiques, you should always count on the expert services of professional upholstery service provider. 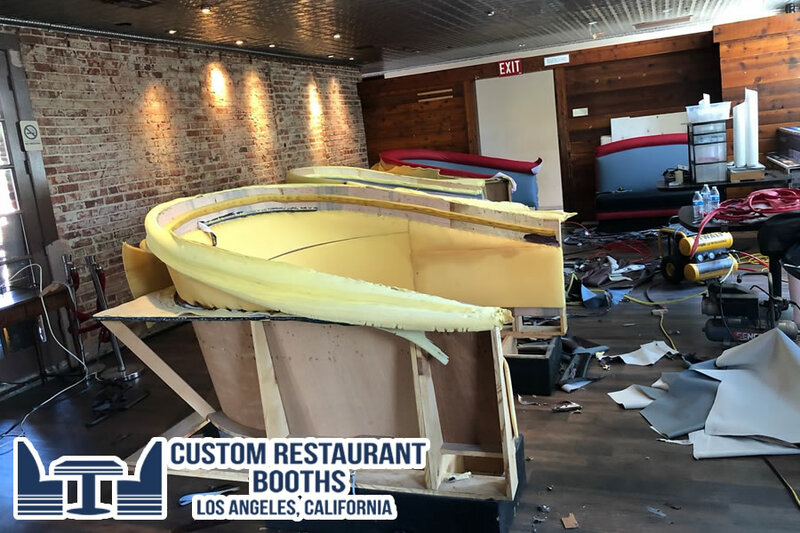 At Custom Restaurant booths Los Angeles, California. Since 1976. We have skilled and knowledgeable tradesmen who are efficient in carrying out a certain number of upholtery tasks topreserve the look and color of your furniture to prevent it from getting dull and pale. There have been instances when people tend to dispose of or donate their antiquated furniture and other reason could be that they become apathetic because their furniture gets fusty. Here, it is advisable that you do not get rid of old furniture as it is possible to revitalize its life by implementing the latest and advanced methods adopted by a professional upholstery service provider. Buying a new set of furniture can be an expensive affair considering the current economic crunch that has taken over the market by storm. Custom Restaurant booths Los Angeles, California. Since 1976. We render our services at a reasonable price so you do not have to bother about your pocket. we provide specialized cleaning that changes the weird look of your old furniture into original and spotless furniture. Upholstered furniture looks stunning and adds to the quintessence and exquisiteness of your home. Moreover, filthy upholstery appears hostile to the guests and definitely, you want to create a long lasting impression on your guests. The problem of upholstery is more prominent in homes with pets. They generally have a tendency of smearing upholsteries and carpets. Even children develop a tendency to spoil the exclusive furniture in your house. They often spill milk or other food products on the sofa which results in the growth of bacteria and formation of fungus.